Author, columnist, boat-builder, sailor, world traveler and family man, Peter Muilenburg is living proof that an ivy-league education doesn't necessarily lead to manning another office desk in a crowded city. After arriving in the Virgin Islands over 40 years ago, he and his wife Dorothy remained to build boats, found a local school, raise two sons, and sail throughout the Caribbean, as well as the Mediterranean sea and the African coastline. Peter's passion for the sea, the stars, the boat, his family and the islands themselves, shines through every true tale. The timely insights and the intensity of his experiences are mirrored in his sensuous prose, his ear for dialogue, and his talent for transporting the reader to the place and time of his Caribbean imagination. 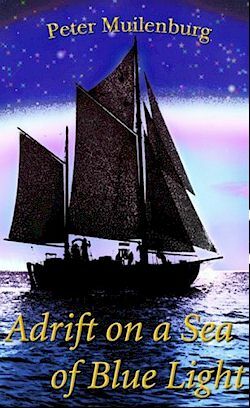 Illustrated by his long-time friend, fellow sailor and photographer Don E. Brown, Adrift on a Sea of Blue Light is available on Amazon.com by clicking on the link below.